Final Goals! Banners to come! •	440K Expansion Upgrade: +1 Map Tile. We will add a second new Map Tile to the Spider Demon Expansion. Everyone getting the Spider Demon Expansion will automatically get the extra Map Tile. •	450K Collectors Upgrade: 1 resin Ziran Spider Demon General. All backers receiving Collectors Upgrades will receive 1 resin Ziran Spider Demon General with game cards. This can be used with or without the expansion. •	460K Expansion Upgrade: +1 Map Tile. We will add a third new Map Tile to the Spider Demon Expansion. Everyone getting the Spider Demon Expansion will automatically get the extra Map Tile. Still reading? If we get this far, we do have a few more goals! Doors and 2000 Backers Celebration! Chinese Mythology is a rich and beautiful environment that is under represented in games, where science fiction and fantasy is common. These myths give Journey a large pool of art, architecture, and drama to draw upon. The striking map tiles, tokens, cards and highly detailed miniatures capture the Pilgrims and their world perfectly. 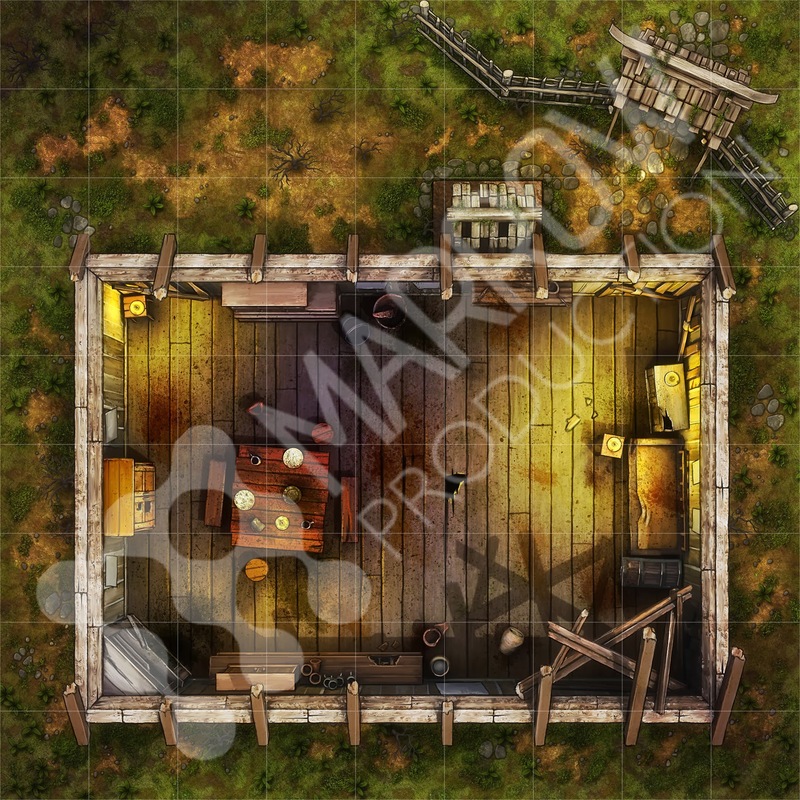 But the themes run much deeper - skills, weapons, harmful conditions, custom dice and the Karma game mechanic stay true to the environment, fully immersing the players in the game world. After defeating the Bull Demon King, the White Bone Demons Expansion takes the Pilgrims into unknown lands, battling new foes. At first they meet skeletal warriors and their commanders, the possessed bones of a long dead army, risen to serve their Queen. After battling the mighty Yagara Bone Beast, the Pilgrims confront Yara, Queen of the White Bone Demon Clan in her lair, the Forbidden White Cave. We are creating a high quality game on many levels. This includes the art, for example the miniature sculpts, Map Tiles and tokens, the materials, such as heavy weight cardboard, wood-free paper for the full color rulebook and the actual game rules. Let us show you what we mean. Click here, here, here, here, here and here to see the images in more detail. There are many different pledge levels, but these are our two most popular. Stretch Goals have increased what is included and these images help to show what you will get. Single Journey. A $100 pledge (+ shipping if you are outside the US), gets you the game, the art cards and all the Boxed Game Upgrades. More Stretch Goals are being unlocked all the time. Click here for a much bigger picture! And here for a complete list of the box contents. 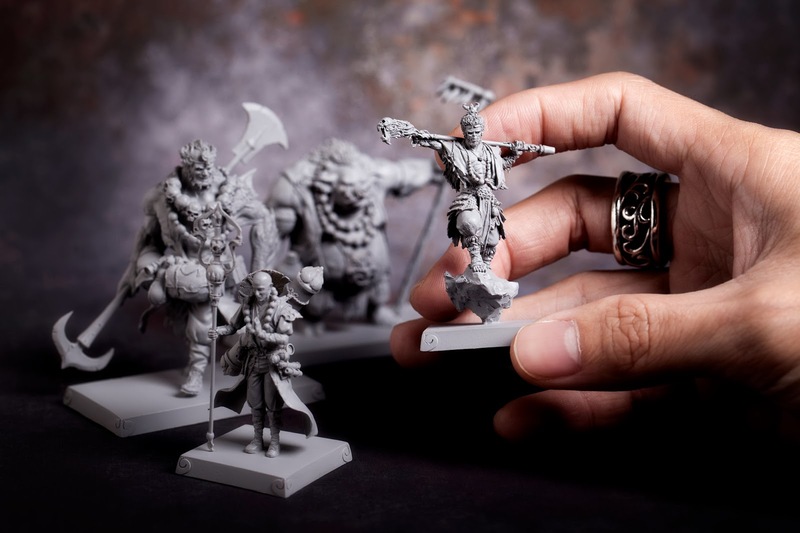 Premium Journey: This is our $180 pledge that comes with resin minis. You get the same complete game, the art cards, 4 resin Pilgrim miniatures, all the Boxed Game Upgrades and all the Collectors Upgrades. There are many other pledge levels, each with different rewards. We hope you can find the one that is best for you. 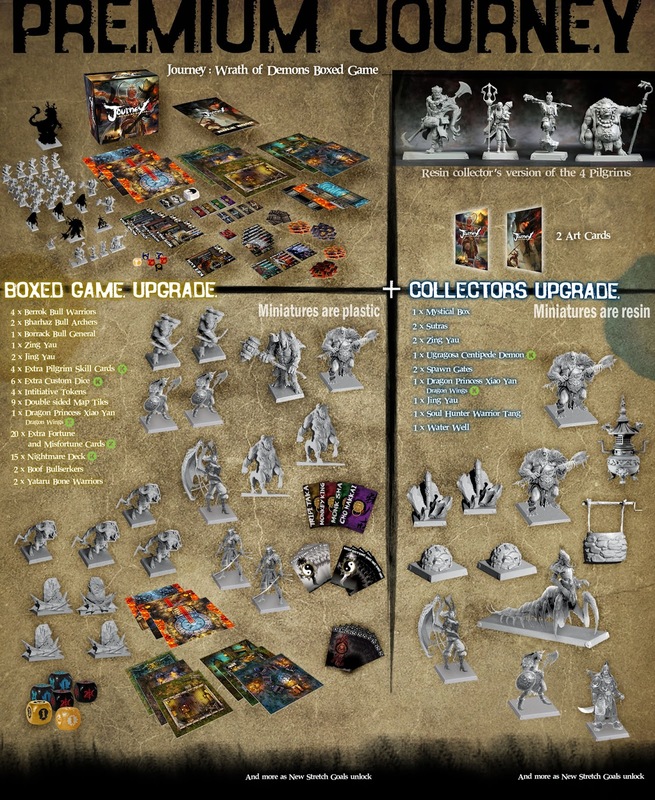 The full contents of the Core Game is described in this update. We have two important groups of Stretch Goals for Journey and the pledge descriptions on the right show which pledges receive which groups of Stretch Goals. We have unlocked some Add-Ons through Stretch Goals and there are some surprise free gifts. The Stretch Goals we are currently trying to unlock are shown at the top of the page. 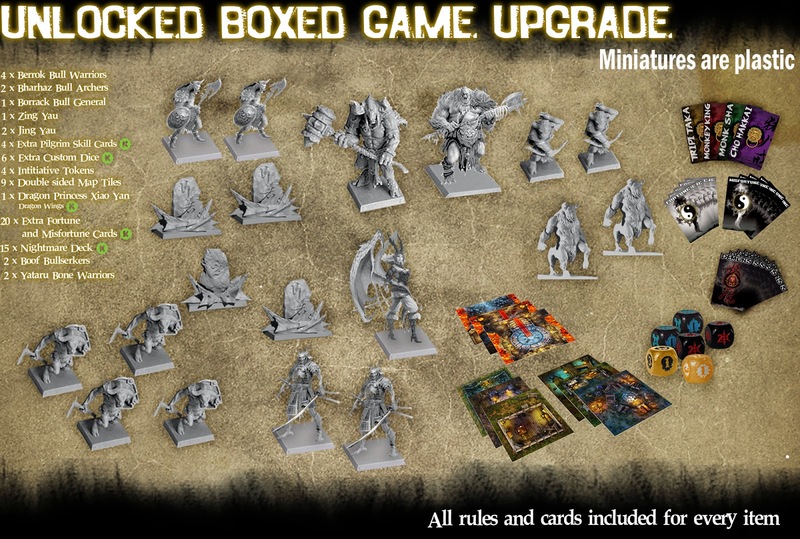 Boxed Game Upgrades: Many of the pledges include the Boxed Game Upgrade Stretch Goals. If you have pledged for one of these levels, these items will be added to your rewards for free! Boxed Game Upgrades include bonuses that are all game play items, made from the same materials as the core game. Some will be extra copies of existing items, others will be brand new! All free items are ready for use in the game. All rules and cards are included for every item. 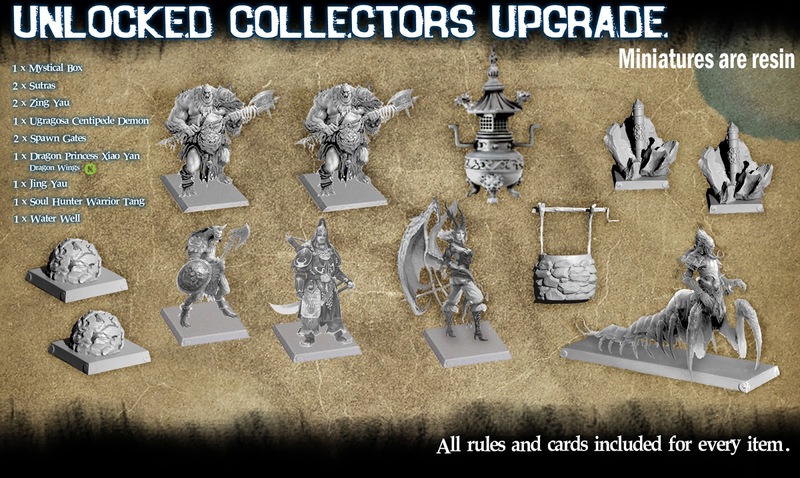 Collectors Upgrades: Some of the pledges include both the Boxed Game Upgrade and Collectors Upgrade stretch goals for free. If you have pledged for one of these levels, you will get the Boxed Game Upgrade shown above and these items. Yes, both sets of upgrades free! Collectors Upgrade Stretch Goals are optional game play items, mostly made from fine quality, hand-cast resin. Some will be items that can be used to replace existing tokens in the box and sometimes they will be brand new game pieces. Free gifts: The Stretch Goals unlock free items for many of our backers as the pledge total increases. As the occasional surprise we have given extra free items to some backers too! All gifts are ready for use in the game. All rules and cards are included for every item. Early supporters: Xi Fung as a free gift to some backers that pledged before 28 October, 21:30 EDT. Read this update carefully to see if you are included. 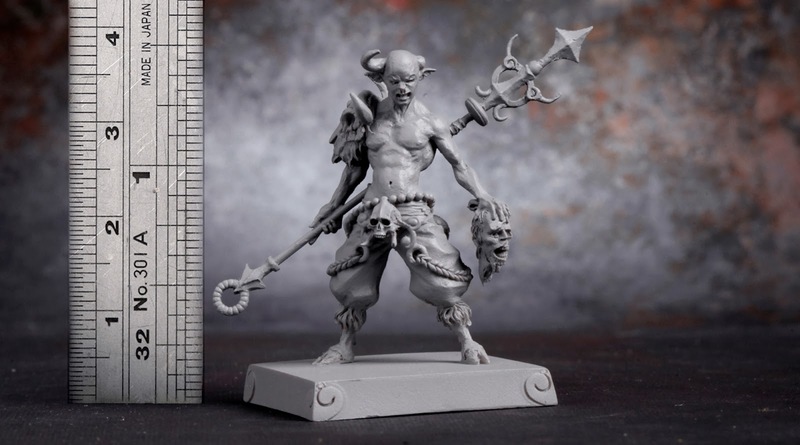 Warrior Monks: A free resin Jiangshi for all backers pledging $320 or more. Read this update carefully to see if you are included. Mid Project Upgrades: We created a surprise Collectors Upgrade and Boxed Game Upgrade to give a KS Exclusive bonus to most backers. Get more details on our fifth Pilgrim here. You can see that the Dragon Princess is shown on the CU and BGU images above. Second Time Limited Gift: Backers that pledge before Monday 18, Nov 4:00pm EST may get a free gift. Read this update carefully to see if you are included. Paid Add-Ons: This section shows all the Paid Add-Ons. All backers can increase their pledge to get the Add-Ons, see the FAQ below for more details. Note that if your pledge includes an upgrade related to an Add-On, you will get the free item. You only need to increase your pledge total if you want multiple copies or if you are not getting the related Upgrade. All Add-Ons are completely optional. Journey is a fine game without any of these optional items. If you want to pledge for Add-Ons at levels where the shipping is less than $30, please contact us. Depending on the Add-Ons, we may need to increase the shipping. All Add-Ons are ready for use in the game. All rules and cards are included for every item. For all Add-Ons, it is hard to give you a recommended number to get. There are 25 Bull Demon minions in the core box and you could replace them all with 25 Jing Yaus if you want to, but we would never suggest that! First, every Add-On is optional, so zero is a good number. All Add-Ons can be used individually, so 1 is also a good number. But we know some people want some kind of sensible higher limit and so we have suggested an upper limit in some cases. We will post a longer update nearer the end with full details of all Add-Ons that are available. All Add-Ons are ready for use in the game. All rules and cards are included for every item. Except for the T-shirts ;-) The Dragon Princess, Xiao Yan can be obtained with or without cards. You already get her cards are as part of the free BGU and CU rewards. More bundles will be announced as all related items are unlocked. You can change your pledge at any time! After a year of full time work, we have sculpts for most of the miniatures. Much of the art (maps, tiles and rulebook) has been approved. The game has been play tested, which will continue with a wider audience. However, many production tasks need to be completed, the following pie chart shows how your funding will be used. By far the largest chunk is for materials and production. Creating the steel molds for casting plastic miniatures and bulk printing is very expensive. Marrow Production has passion but not the capital to fund these start up costs. This is a true Kickstarter project that cannot be completed without the help of our backers. Marrow Production is a new games development company, dedicated to making Journey the finest game possible. 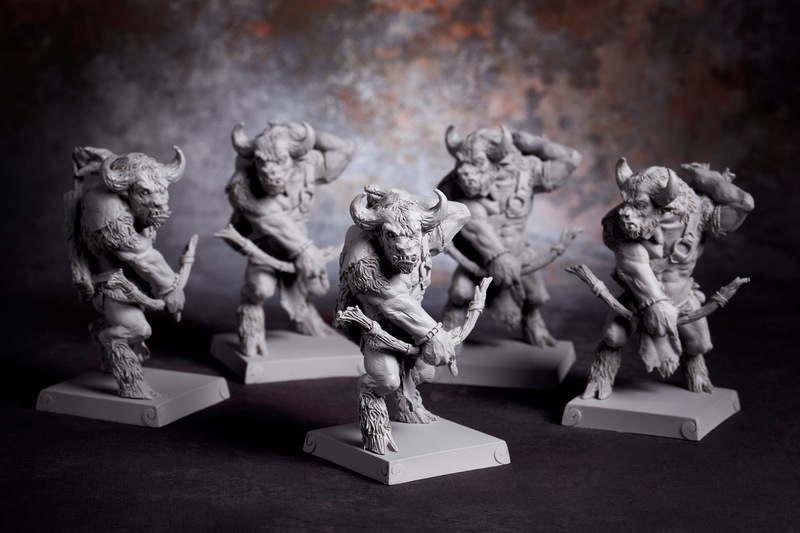 We want to create Journey and future expansions for gamers, collectors and miniature painters. Our two-man company cannot capture this vision alone and has gathered talented artists from around the world, such as Adrian Smith, A.J. Manzanedo and Henning Ludvigsen. Many people lent their skills to the project and we would be lost without them. Hon Ho: A co-founder of Marrow Production, the creator and producer of Journey: Wrath of Demons. Hon has been fascinated by miniatures and tabletop games since childhood and has finally created his own game based on his favorite childhood story. As well as the game designer, he also handles the painting for all the miniatures shown here. RAY WONG: With a strong background of art and sculpting experience, Ray has worked as a freelance artist for over 10 years, with companies such as Nintendo, Coca-Cola, Hot Toys, Toei and Capcom. Ray is also co-founder of Marrow Production, and works as sculptor and art director of Journey: Wrath of Demons. All images show game contents during development. Game components are subject to change. 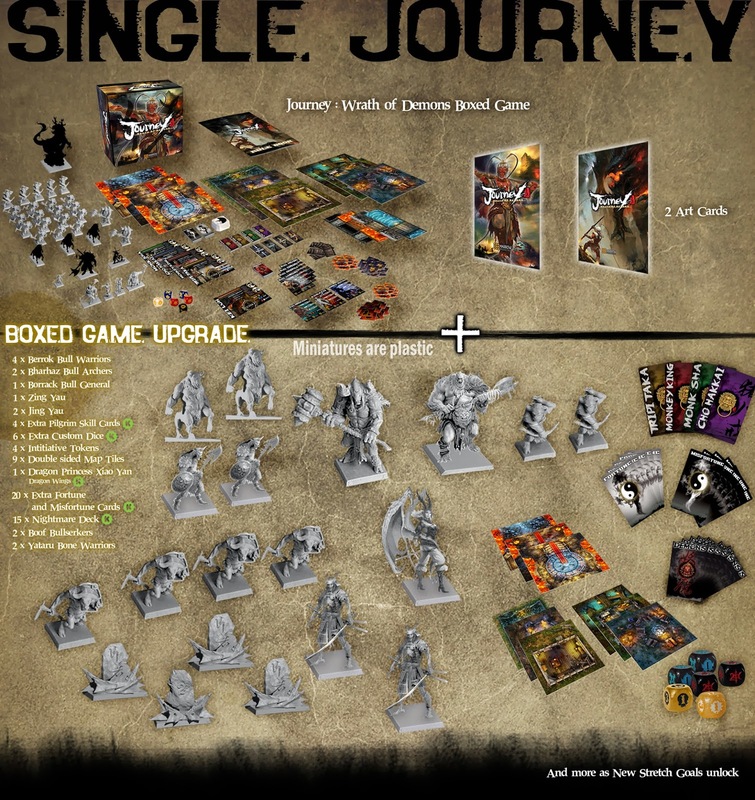 The Journey: Wrath of Demons boxed game will be supplied with unpainted plastic miniatures. Some assembly will be required. Resin miniatures are supplied unpainted. Resin Miniatures will need assembly and preparation before painting. Plain bases will be supplied. •	Unexpected production issues in China. •	Additional work related to the stretch goals.